link What will you see? The Q900R QLED 8K television set introduced by Samsung at IFA. Just as 4K content tags are starting to appear on video streaming services, LG and Samsung have announced they will bring 8K television sets to the market in 2019. 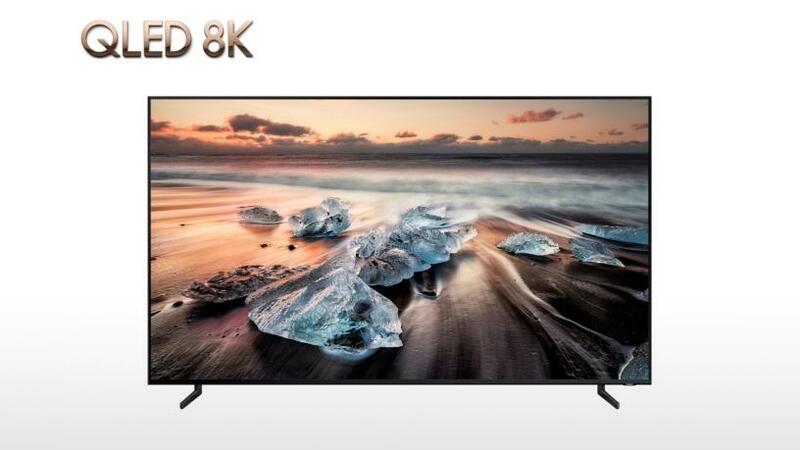 Both manufacturers unveiled 8K TV sets at the IFA 2018 electronics trade show currently taking place in Berlin, Germany. 8K is four times the resolution of 4K. Arthur Goldstuck, World Wide Worx MD, says television technology advances incredibly rapidly. "Manufacturers are constantly pursuing better displays, richer colours, along with a richer experience. "As the size of TVs gets bigger, people are being exposed to bigger images that highlight the shortcomings of current image technology. "As the screens get bigger, and the price comes down, the current resolution becomes more and more inadequate." He says a 55-inch high-resolution TV can now be bought for R5 500, which is a lot larger than what could be bought a few years ago for the same price. Soon, TVs larger than 70-inch will be the norm. "There is no such thing as too big when it comes to display size, as we have seen with smartphones." Goldstuck says high-definition resolution does not look so high-definition when taken from a 55-inch to 70-inch screen because it is the same amount of pixels on a larger screen. Therefore manufacturers must persist with resolution technology so that the viewing experience users have come to expect from 50-inch screens can be the same or better when they upgrade to a 70-inch screen. The new 8K OLED TV displayed by LG at IFA. There is currently little 8K content available to watch on an 8K screen and even fewer cameras that can capture 8K video. "There is almost no 8K content, and in fact still very little 4K content; there is no compelling reason to buy a 4K TV at the moment," says Goldstuck. He says it will: "Probably be another two to three years before 8K goes mainstream and becomes a standard consumer demand." Goldstuck says one of the reasons for manufacturers to create an 8K screen, when there is not any 8K content available, is so that they can position themselves as technology leaders in the television space. Samsung says its new Q900R QLED 8K TV will come with 8K AI Upscaling, which means it will use artificial intelligence to make picture and sound quality compatible with 8K regardless of the original source quality or format. "Whether a user is watching content through a streaming service, set-top box, HDMI, USB or even mobile mirroring, the Quantum Processor 8K recognises and upscales the content to appear in 8K quality," says Samsung in a statement. Samsung will make its new TVs available next year. A price has not yet been announced, but it will be sold in four sizes: 65-, 75-, 82- and 85-inch. "While the 8K TV market is still in its infancy, it is expected to grow to more than five million units by 2022 and LG is committed to leading the ultra-premium market with its 8K OLED TV technology," says LG in a statement. 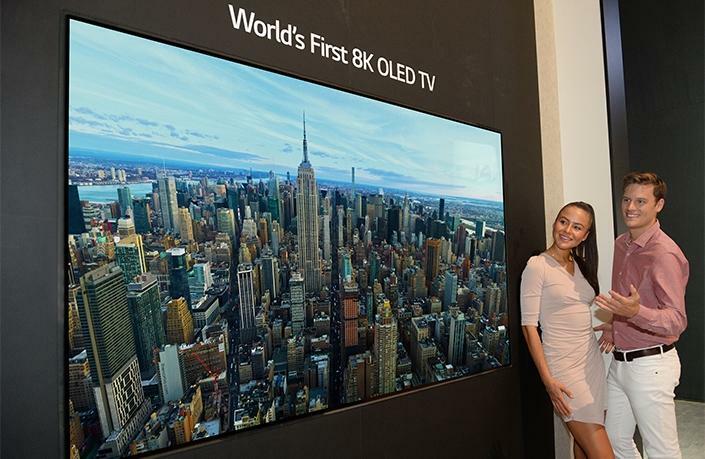 LG unveiled the 88-inch 8K LG OLED TV features over 33 million self-emitting pixels. Goldstuck says 4K from a distance looks great but standing really close to a 4K screen you can still see all the pixels, whereas with 8K displays the pixels aren't noticeable at any distance. Where 8K will really come into its own is virtual reality (VR), says Goldstuck, where VR will become even more realistic and immersive, as the user's eyes will be right up close to a screen and they will not be able to notice the pixels. "But 8K has to start on a more commercial and social display because it takes quite a while for that technology to make its way to headsets."